This is the best Volvo 240 740 940 performance intercooler on the market! - Core volume: 11906cm3 (5377cm3), do88 is 221% larger! 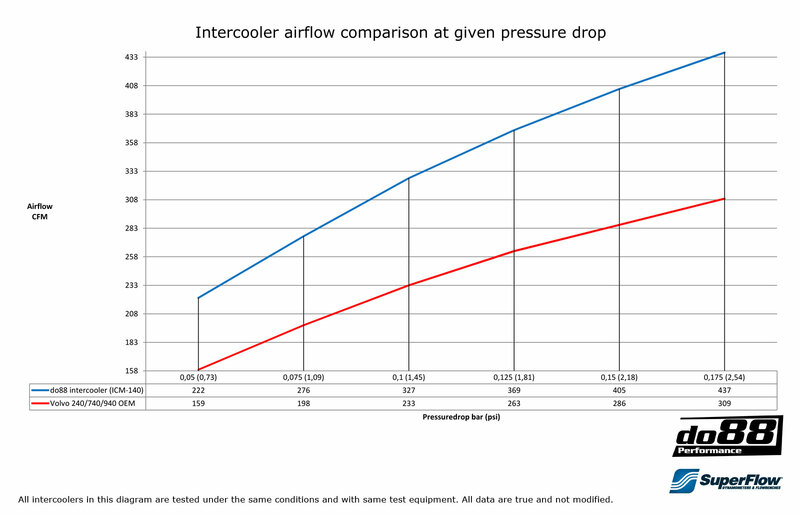 - Air flow at 0,15bar/2,18psi pressure drop: 405CFM (286CFM), do88 42% higher! 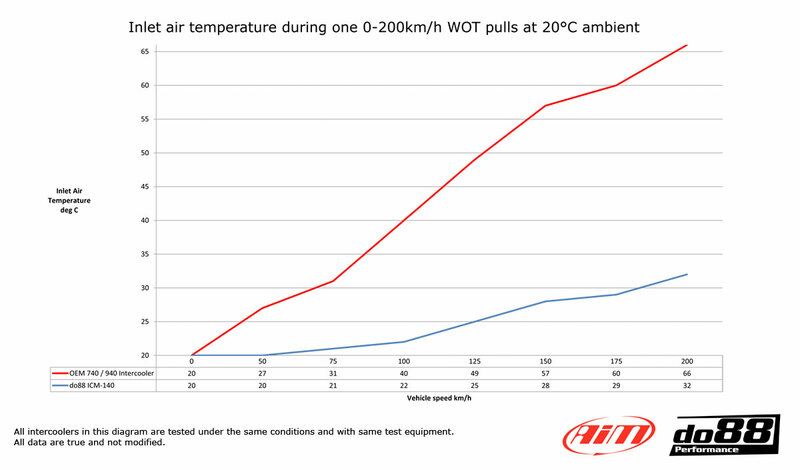 - Post intercooler air temperature at same conditions: 32°C (66°C), do88 34°C lower! - Fits all cars in list below with very small modifications! 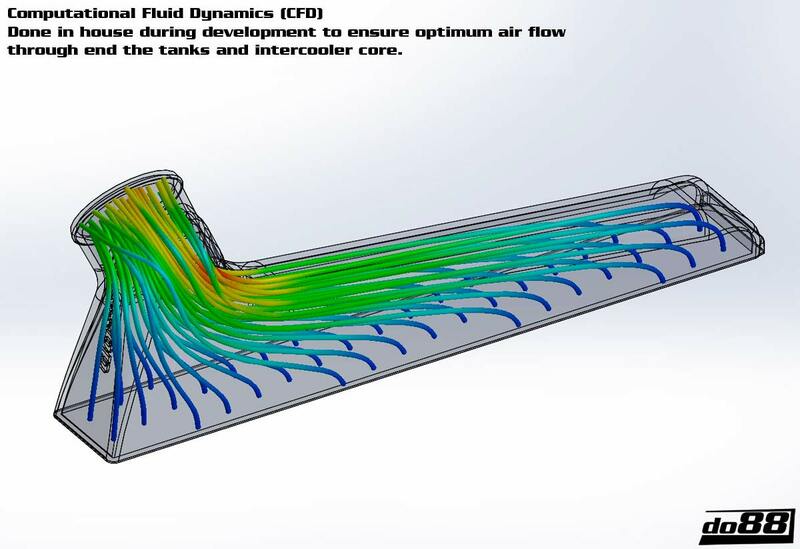 do88 performance intercooler are an all aluminium construction with cad designed, flow optimized cast end tanks and optimized core design (60mm thick) to achieve best possible cooling efficiency combined with lowest possible pressure drop!